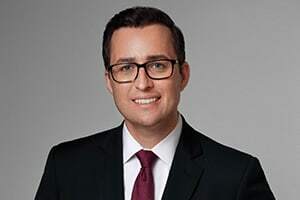 The Law Offices of Eric Dinnocenzo has significant experience representing employees in employment discrimination cases in New York and New Jersey courts. We understand how to carefully prepare these cases and bring them to trial, and we have secured many favorable results for our clients. We also represent employees who have suffered from unlawful retaliation after asserting their rights to a workplace that is free from discrimination. It is not uncommon for employers to retaliate against employees after they engage in protected activity. But employees are protected from adverse employment actions simply because they stood up for asserted their legal rights. Unlike some other law firms, we frequently will represent employment discrimination clients on a contingent fee basis, which means we get paid when you obtain a settlement or verdict. This makes pursing legal action more practical and affordable for someone who is no longer employed and struggling to make ends meet. Unlawful discrimination in the workplace can cause great financial and emotional hardship to those affected by it. They can suffer from anxiety and depression and feel like their careers have been derailed. There is also the added stress of no longer receiving a paycheck. Historically, discrimination has marginalized both communities and individuals so as to limit their opportunities and deprive them of rights and benefits to which they are entitled. While significant social, cultural and legal developments have occurred to remedy past injustices and establish equal rights, the unfortunate reality is that unlawful discrimination still occurs. One place it remains most prevalent is the workplace. Sometimes employment discrimination is perpetrated in a clear and direct manner, while other times it is practiced less overtly. It is important to have an employment discrimination attorney who understands the different forms that unlawful discrimination can take in the workplace. For instance, there are certain “code words” that may not seem discriminatory on their face, but actually are a sign of an unlawful bias. A person who has suffered from discrimination needs an attorney who can clearly and effectively explain to judges and jurors who may not be attuned to discrimination the deeper contextual meaning of certain words and phrases. Employment discrimination plaintiffs in New York and New Jersey benefit from expansive state anti-discrimination laws that provide additional protections than federal law. In fact, the New York City Human Rights Law is one of the most progressive anti-discrimination laws in the nation. Employers will frequently defend their actions on the basis that they were performed for non-discriminatory reasons. They will commonly place blame on the employee by asserting that he or she was not a good employee or had performance issues. We conduct a thorough investigation of the facts during litigation in order to effectively disprove the asserted reasons. We have had great success representing victims of unlawful employment discrimination in New York and New Jersey. As one example, our successful trial advocacy for a disabled Consolidated Edison worker led a judge at the New York State Division of Human Rights to not only award him significant damages for lost wages and emotional distress, but also to reinstate him in his former position and declare unlawful some aspects of the Consolidated Edison program for disabled workers—a result which is rarely obtained. The firm prides itself on both obtaining successful results for individual clients while also seeking to establish reform on a wider scale. If you have suffered employment discrimination or retaliation in New York or New Jersey, you can call the Law Offices of Eric Dinnocenzo at (212) 933-1675 for a free consultation.